I’m back (to the future). | Miniature armies, huge time sink. I’m back (to the future). Been awhile. How’ve you been? Very recently, there has been renewed interest (nee jonesing) among some of my closer gaming circle for something sci-fi…ish. 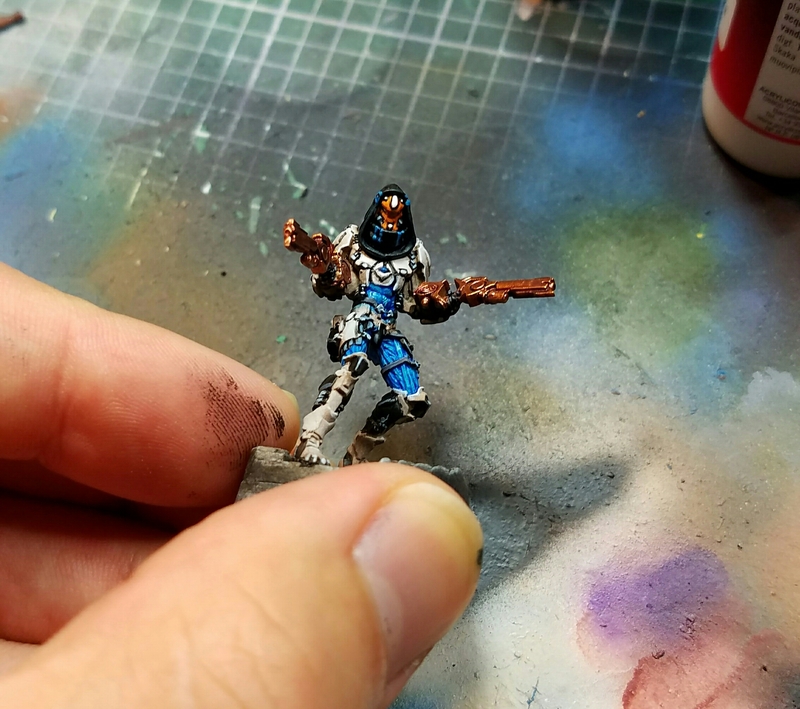 Some ideas for games were floated around (Warzone, 40K, 30K, Infinity, Dropzone, etc) but I pushed for Infinity because, well we already had the models for it (new in box even for most of the other folks). I had also been amassing a terrain stockpile over the years: the odd kickstarter here, a black friday sale there. 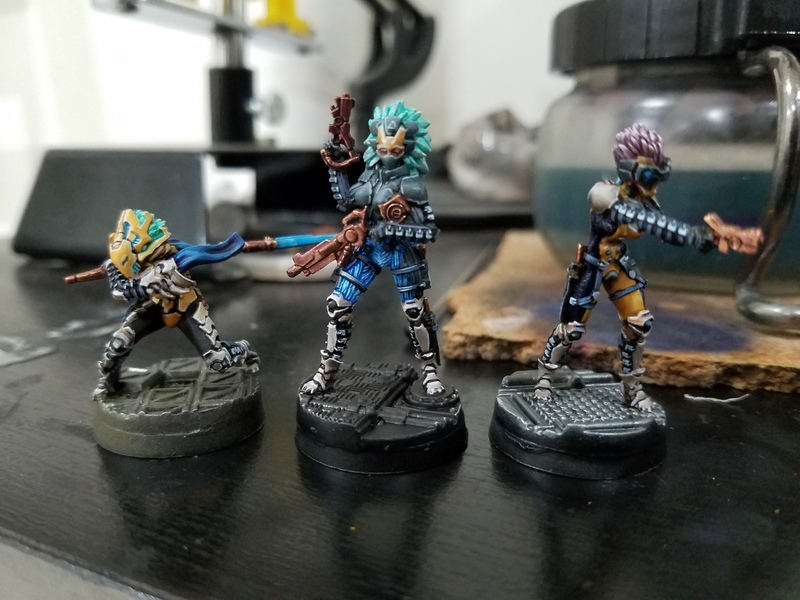 Selfish reasons aside, Infinity is a pretty good game with cool models. These are the first few that I’ve ‘reworked’ in 2017 colors. It’s basically cleaner, a bit more vibrant. I’ve worked in more oranges/yellows as a contrast to the blue. I still hold onto my simplified color palette and color triad working method. As you can see, the technique is getting cleaner as well. I’ve adopted many of Angel Giraldez’s techniques into my own style as I’ve found that it actually really meshes well with my workflow and skill level. But now how about the game play? We’ll happy to report I’ve actually managed to get some real life rounds of Infinity in! We’ve mostly been playing 20×20 games as that mission set seemed more user fiendly. While we aren’t new to wargames now, we are new to this ruleset (it’s more of rules wiki, than a rulebook).